Natural ripe fruit → Washing → Peeling →Slicing → Blanching at 95oC within 3 minutes to destroy all bacteria → Freeze at – 18oC up to 5 hours → Drying at 65oC up to 26 hours to retain all nutrients, colors, flavors and taste → Packaging → Finished products. Who knew there was a plant with a flower like an explosion of flame, which produces a beautiful but short-lived fruit with the appearance of a brilliant pink rosebud? 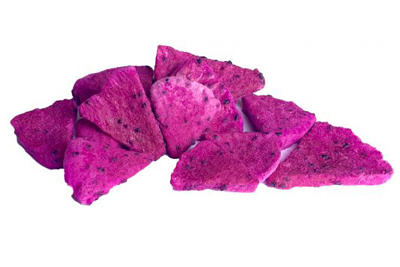 This is the pitya – dragon fruit. Obtained from several cactus species, its succulent stem provides the uniquely delicious fruit with moisture in the arid climates where it grows. Some dragon fruits have red or yellow skin and white or red flesh, similar to an artichoke, and an abundance of small, black, edible seeds. The flavor is mildly sweet, like a blend of kiwi and pear, and it has a crunchy texture. The fruit, known as a jackfruit, is being hailed as a “miracle” crop that could save millions from starvation. And the unique fruit inside of it is just the beginning of the jackfruit’s many wonders. 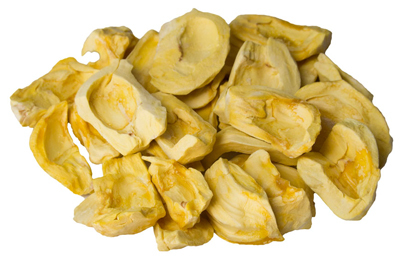 This enigmatic fruit is native to South and Southeast Asia; it is rare to find jackfruit in the US. Mango is one of the delicious seasonal fruits grown in the tropics. If you’ve smelled a durian even once, you probably remember it even while its husk is intact. Durian fruit is delicious, soft, succulent and very popular for its unique characteristics. Durian is widely revered as the “King of Fruits” in the South-East Asian countries. The fruit’s flesh is sometimes eaten raw, or is cooked and used to flavor a number of traditional Southeast Asian dishes and candies. 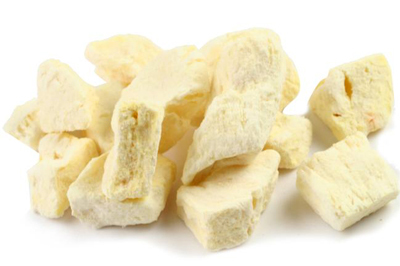 It’s also used in traditional Asian medicine, as both an anti-fever treatment and a aphrodisiac. So here are some healthy facts and interesting facts about Banana’s that I hope will inspire you to eat more of them. Did you know that the banana is the number fruit to make you feel happy and high after eating one? Why is this? Banana’s have high levels of tryptophan, one the many 22 amino acids, and this is converted into serotonin, that triggers that happy mood state. So if feeling low reach for a banana. Banana contains a unique mix of vitamins, minerals, and low glycemic carbohydrates, and are the best fruit for nutrients that supply energy. 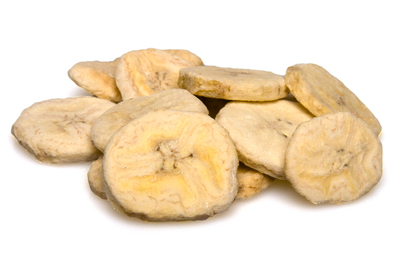 One great fact about banana’s is that they contain a huge amount heart loving potassium, in fact 400-plus mg of potassium, a essential mineral for maintaining normal blood pressure and heart function. Litchi Fruit or the exotic lychee fruit is from the soapberry family. The evergreen trees they grow on can reach 100 feet, and produce red or pale orange fruits with a tough, “bumpy,” easily peeled skin resembling large raspberries. 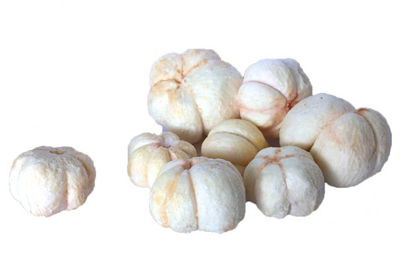 Each contains white flesh and a single, large, inedible seed, which makes this fruit a drupe. Lychee is juicy with a distinctive, slightly acidic fragrance and good flavor. 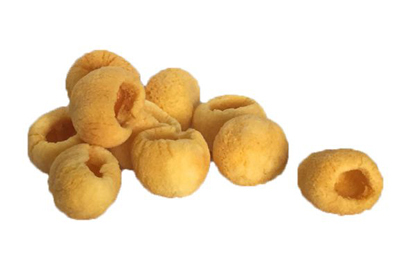 Freeze dried lychees are a prized delicacy in some countries. Fresh or dried, lychees can be chopped into fruit or green salads. Stuffed lychees are popular with cream cheese and nuts. Cantaloupes and other summer melons serve as the quintessential take-along snack for summer picnics and barbeques. That is low maintenance dessert for kids and adults alike. The mildly sweet and juicy flavor of cantaloupe makes it a perfect fruit for even the pickiest palates. Cantaloupe is one of the super energy foods that can be eaten by everyone, including the very young and the old, is digested very quickly and easily if there is nothing else in the stomach. Dr. William Hay, the ‘father of food combining,’ says melon should always be eaten alone, on an empty stomach. If you have difficulty digesting cantaloupe, it’s because there is other food in the stomach. 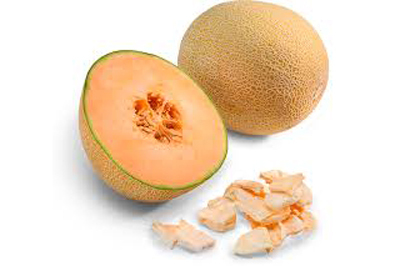 The worst time to eat cantaloupe or other melons is following a meal, as dessert. The exotic mangosteens are a bit unfamiliar to many in the U.S., but deliver for anyone looking for lively flavor and the nutritional benefits to go with it. This glossy purple fruit is low in calories, high in fiber, and contains powerful antioxidants, including xanthones, vitamin C and B-complex vitamins, such as thiamin, niacin and folate. These and other phytonutrients neutralize harmful free radicals and help the body fight infection. Studies have shown that mangosteens have the potential to slow the growth of cancer cells and may be chemopreventive. If you’ve never tried this delectable fruit, try mangosteen segments in your next healthy snack . Highly valued for its juicy, delicate texture and slightly sweet and sour flavour. You might discover a new favorite fruit. The pineapple fruit is described as compound (multiple) type of fruit that develops from many small fruits fused together around central core. 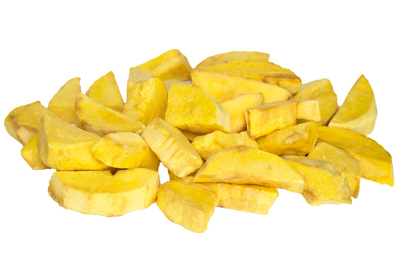 Its pulp is juicy and fleshy with the stem serving as a supporting fibrous core. 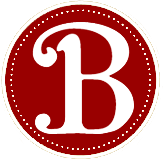 The outer skin features rough, tough, and scaly rind. The color in the ripe fruits may be yellow, orange-yellow or reddish. 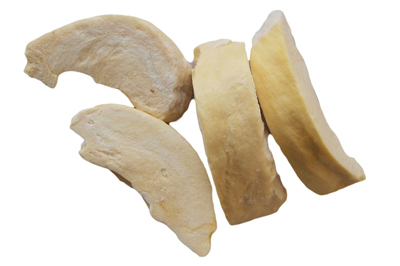 Internally, its juicy flesh may range from creamy white to yellow and has a mix of sweet and tart taste with rich flavor.